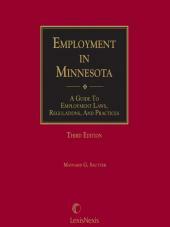 Thorough and timely, McGrady provides attorneys, human resources representatives, and media relations experts with comprehensive and practical analysis of this dynamic topic. 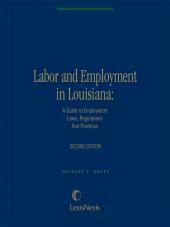 Thorough and timely, McGrady provides attorneys, human resources representatives, and media relations experts with comprehensive and practical analysis of this dynamic topic. Coverage includes the recruitment aspects of social media, employee usage and restrictions, "concerted activity" considerations in the context of the NLRA, and post-termination guidance on social-media-account take-downs. 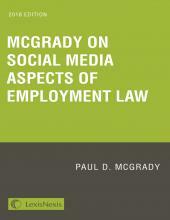 Culminating in sample policies, clauses and checklists, McGrady on Social Media Aspects of Employment Law is an invaluable resource for the modern employment practitioner. Paul McGrady, of Winston & Strawn, is a highly seasoned trademark, social media and domain name expert. 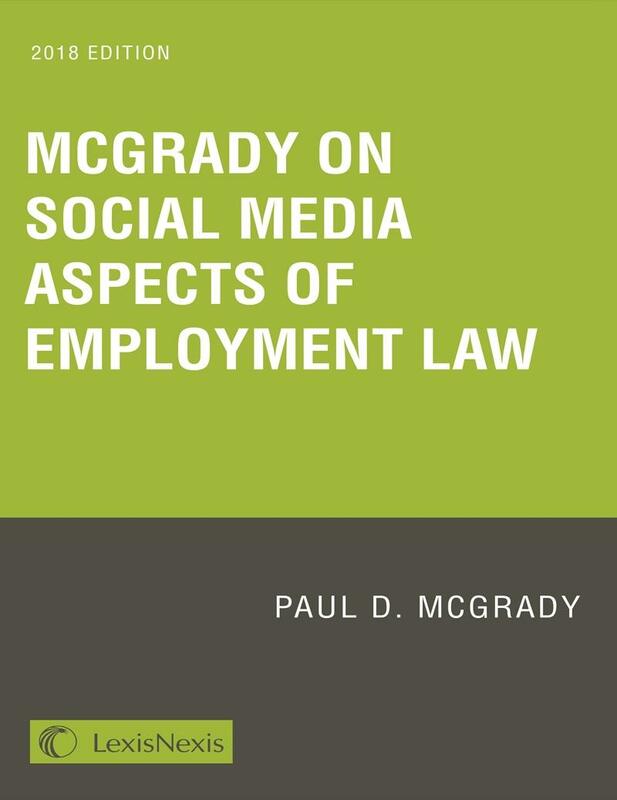 Author of two existing LexisNexis titles – McGrady on Social Media and McGrady on Domain Names – Mr. McGrady brings a wealth of practical insights and litigation-tested advice to the subject of social media and, in particular, social media in employment settings. 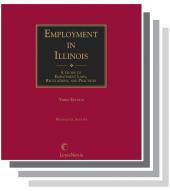 McGrady on Social Media Aspects of Employment Law is his newest title and a proud addition to LexisNexis's exceptional collection of labor & employment products. Mr. McGrady represents large brand owners, including new gTLD registries, in their domain name and ICANN matters as well as brand-friendly registrars. Mr. McGrady served a critical role in the strategy and negotiations which led to ICANN's adoption of "Specification 13" in which ICANN finally recognized the unique role and responsibilities of brand registries. His experience includes domain name disputes, domain name transactions, the creation of new top-level domain names, CAN-SPAM disputes, Computer Fraud & Abuse Act disputes, online copyright and brand identity disputes, and transactions and counseling related to intellectual property aspects of social/mobile media. Mr. McGrady is active with the International Trademark Association (INTA). He has been appointed as vice-chair of the Internet Committee for the upcoming 2016-17 term. Prior to that, he served as chair of the Internet Committee's Online Trademark Use sub-committee for the 2014-2015 term and sub-committee chair for the Internet Governance Sub-Committee (2012-2014). He is also a member of the 2016 INTA Annual Meeting team. Mr. McGrady is a former member of INTA's Program's Board, previous co-chair of the 2012 INTA Leadership Meeting, a former programs board liaison for the 2009 Annual Meeting, team leader for the U.S. Programming for the Annual Meetings in 2008 and 2016, co-chair of the trademark administrator's conference, team member of the Trademark Administrator's Conference, and team member of the Trademarks Basics Conference. Mr. McGrady is an active member of the Intellectual Property Constituency of ICANN. He serves as one of the two IPC GNSO Councilors.